Fighting between Israel and Palestine re-erupted in late December 2008, resulting in the deaths of over 1,400 Palestinians, the majority of whom were civilians. The intensifying conflict prompted the United Nations to make an urgent appeal for international humanitarian assistance for Palestinian refugees. Mercy Relief responded immediately. 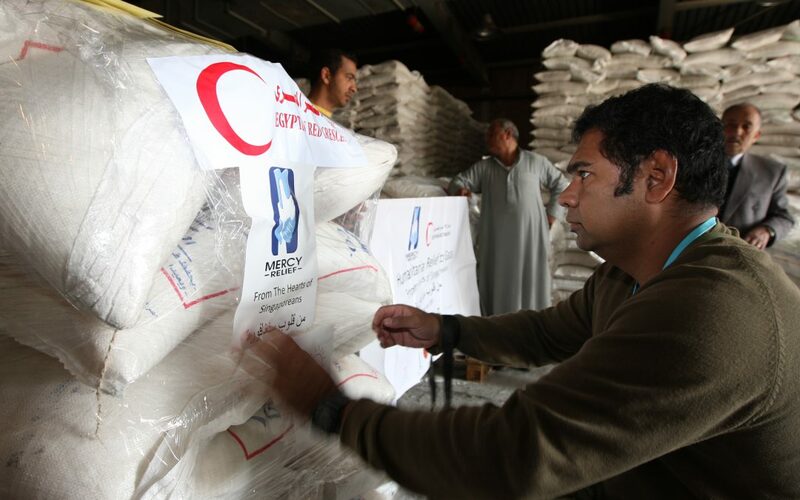 Deployed an eight-man first response team on 5 February to personally hand over more than $238,000 worth of aid to four partner organisations in Egypt and Israel – the Egyptian and Palestinian Red Crescent Societies, the United Nations Relief and Works Agency (UNRWA) and Hommes de Parole (a Swiss-based organisation of rabbis and imams). Supplies delivered to affected civilians in Gaza between 12 and 26 February included food items like flour, sugar, tins of luncheon meat and baby milk, and non-food items like blankets, clothes, footwear and stationery. Two truckloads of medical equipment and supplies were also delivered.